If there’s one thing that Brooklyn does not have a shortage of it’s places to get a good brunch. 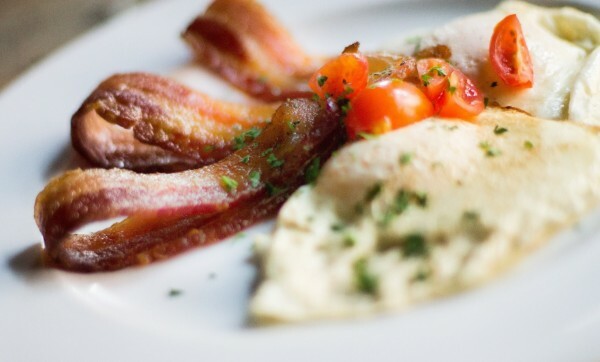 Almost every little bistro or unique cafe has a full brunch menu with an array of inviting options to satisfy that midday meal craving. Making the dash through the rain, we stumbled upon Bijan’s, a Persian-inspired restaurant that I knew offered a great brunch special. I had never been before but was delighted to hear about their $15 brunch which includes an entree, coffee or tea and a cocktail off the menu. Take your pick. A Bloody Mary aficionado myself, I couldn’t resist. I personally went with the Salmon Salad Sammy which was smoked pepper salmon salad on a brioche roll, served with delightfully seasoned sweet potato fries. My boyfriend went with the Persian Chicken Salad Sammy which was also served on a brioche roll with herbed fries. Both we’re huge portions and we took half the sandwiches home. Add a couple cups of coffee and a freshly squeezed lemonade, I can’t think of a better way to start a rainy day. Photo courtesy of Facebook / Bijan’s. Tags: BLOODY MARYS, breakfast, BROOKLYN, BRUNCH, CHICKEN SALAD, PERSIAN, SALMON SANDWICH. Bookmark the permalink.